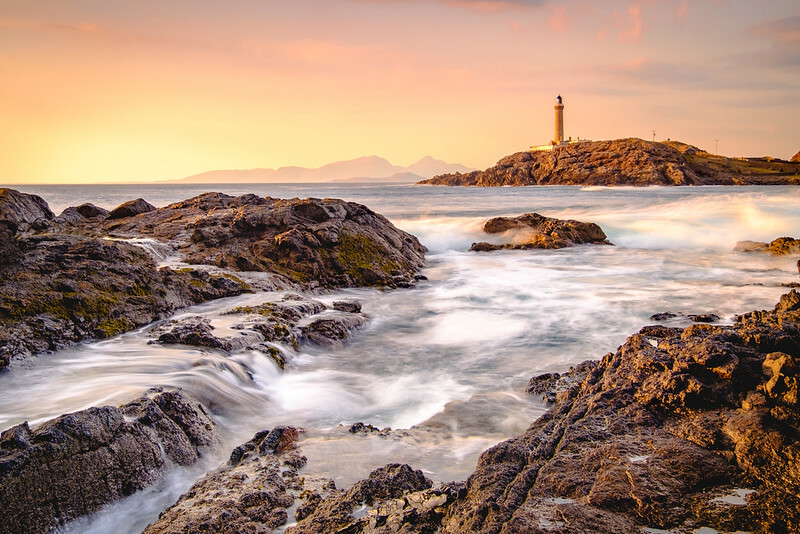 Portfolio of Steven Marshall, landscape photographer based in the West Highland Peninsulas of Sunart, Morvern, Moidart, Ardgour and Ardnamurchan. 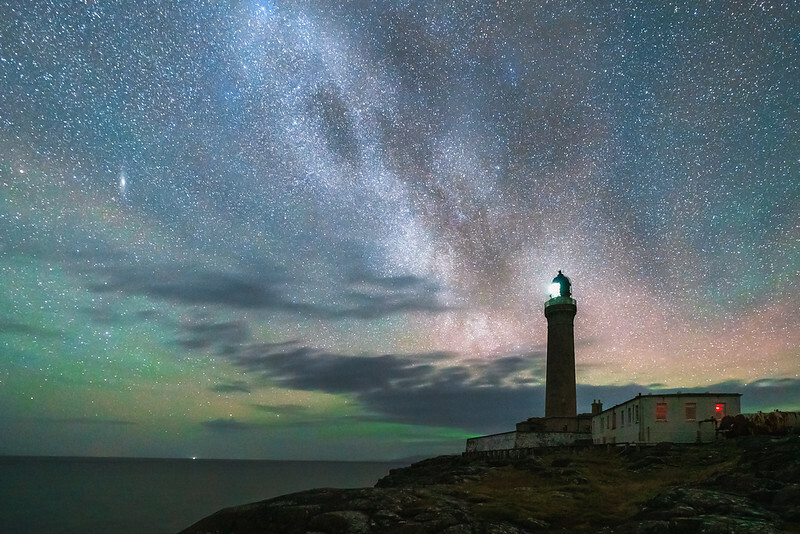 The Milky Way soars over Castle Tioram, which guards the South Channel of Loch Moidart and is the traditional seat of the Clanranald. 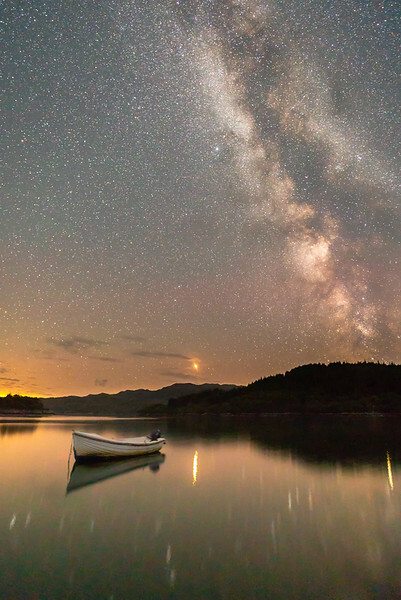 There was not a breath of wind on this night under the stars, so the boats moored up in Kentra Bay sat perfectly still under the Milky Way while a bright red Mars, low on the horizon, was reflected in the water. 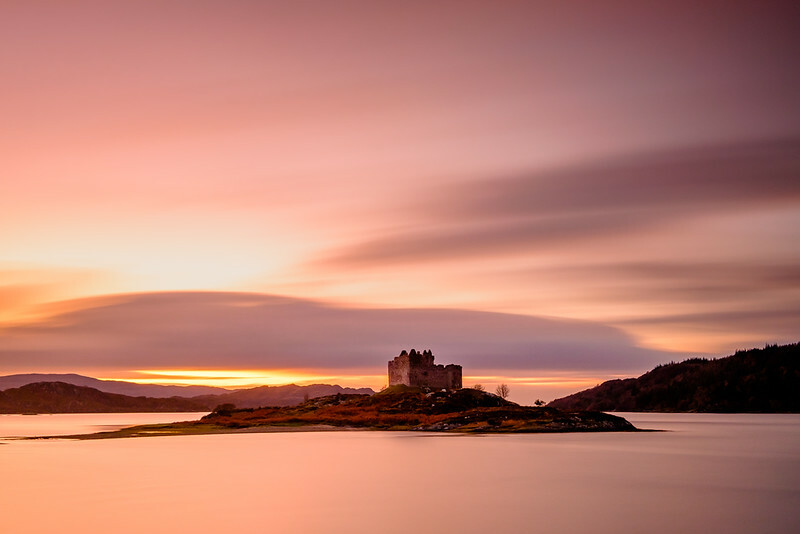 A time to pause when crossing the bridge over the River Aline by Kinlochaline Castle, to look up the river and take in the sight of the Northern Lights. An almost full moon begins to its transformation from white, to orange, to red as it falls towards the horizon a way out to the west and casts wonderful golden light on the sea at Ardtoe. One of the carved wooden mushrooms that can be found in the woods around Sailean nan Cuileag (The Bay of Flies), sits capped with snow under a clear and cold night sky to create a quite simply magical scene. 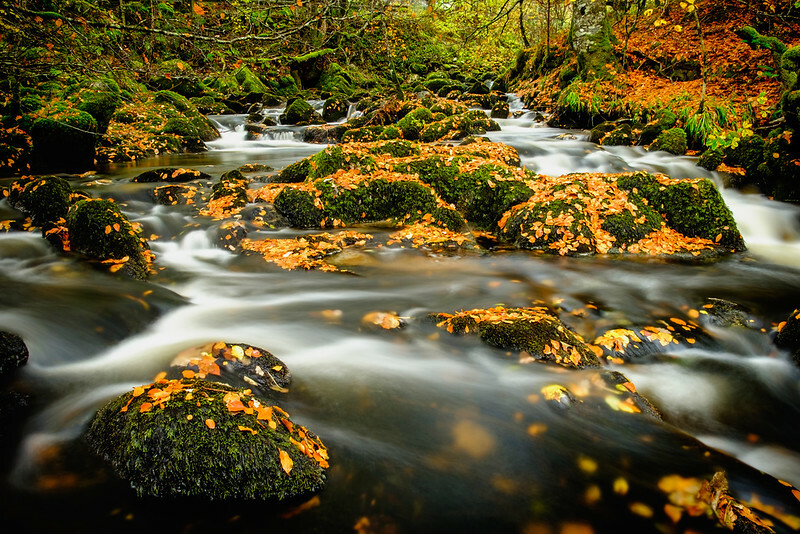 The last light of a late Autumn day in early November falls on the River Shiel and the trees on its banks. 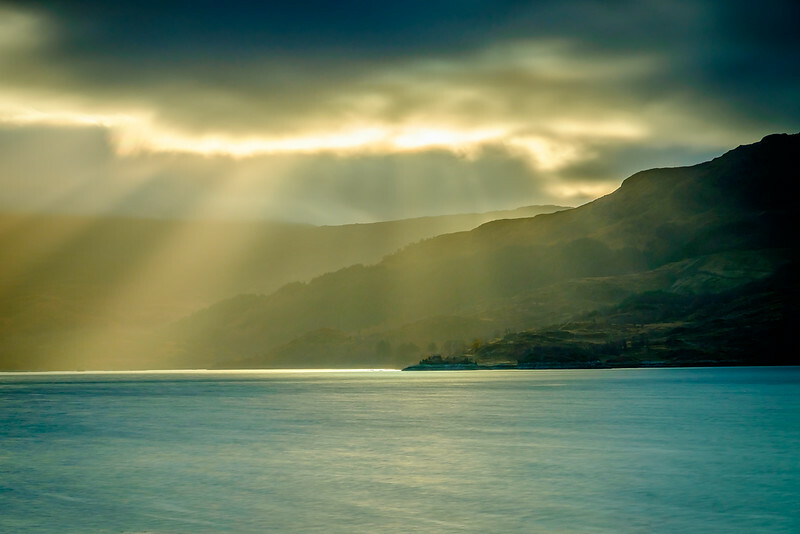 The last of the cloud after Storm Ophelia hit the UK clears on the afternoon of 17th October 2017 and the sun begins to appear and casts some lovely light over the Bay of Flies and Loch Sunart. 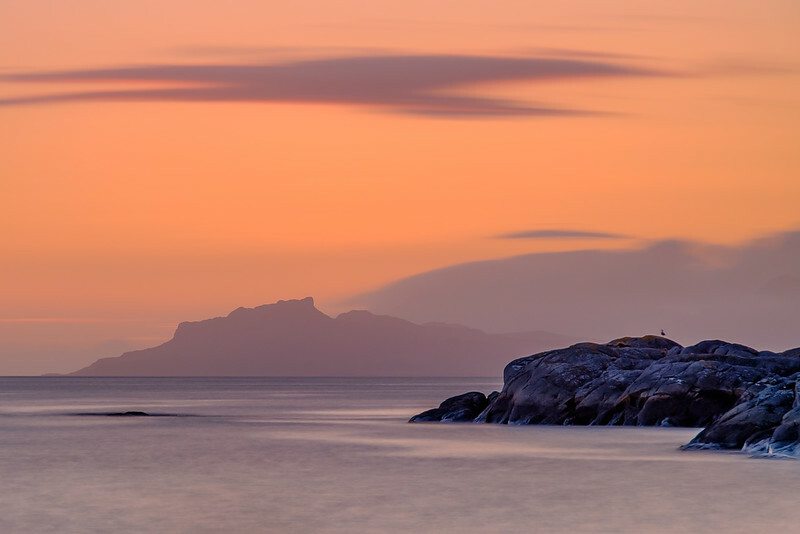 On a wonderful summer's evening, the last light from the sun, as it sets behind Eigg, paints the sky and sea with glorious pastel colours. A spectacular Northern Lights show fills the sky behind a snow-capped Ben Resipole while the waters of Loch Sunart are lit green with the reflection from above. While waiting for the bus to arrive from Glasgow, the sky unexpectedly and suddenly cleared after a day of grey cloud and pouring rain, all just in time for the light of the golden hour to work its magic. 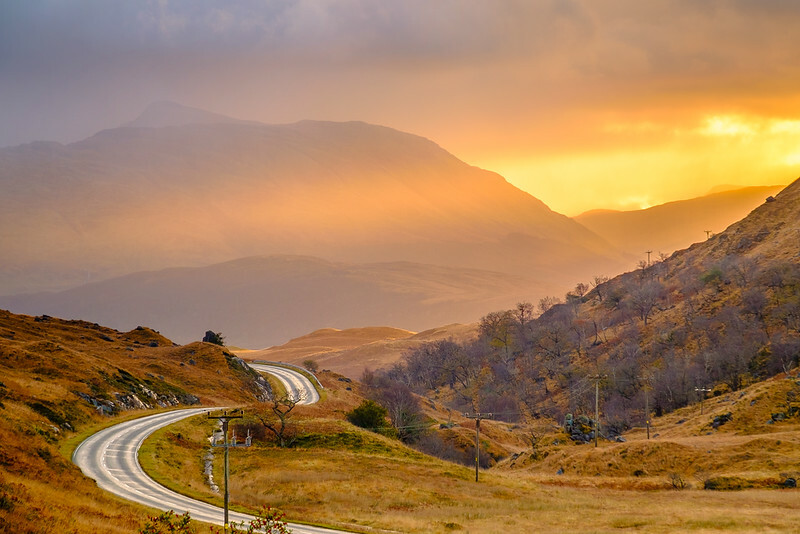 On a typical West Coast day of many seasons, the sun breaks through the rain clouds to bathe the hills of Morvern in wonderful shafts of golden light. 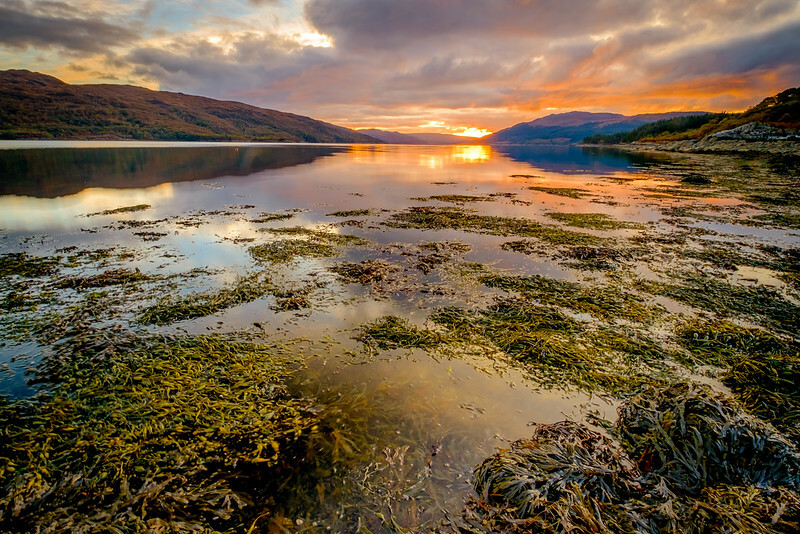 Loch Sunart turned an inky black as the water calmed under clearing rain clouds during this orange sunset on an Autumn evening. Finally, after three consecutive 5 o’clock in the morning visits to the small loch by Down Law, I was lucky enough to have the morning mist clear to reveal the Waterloo Monument on Peniel Heugh as a backdrop to this flooded landscape scene. Persistence and patience pays off at last!! The warm days and cool nights of autumn created the perfect conditions for morning mist to form in the Teviot Valley. As I waited for the sun to rise, a light breeze started up and slowly moved the mist up the valley towards my vantage point at Ploughlands which overlooked Eckford. In a few moments the intense golden light appeared to create this scene and was gone just as quickly as the mist enveloped both me and the rolling Borders’ countryside. A truly magical moment.